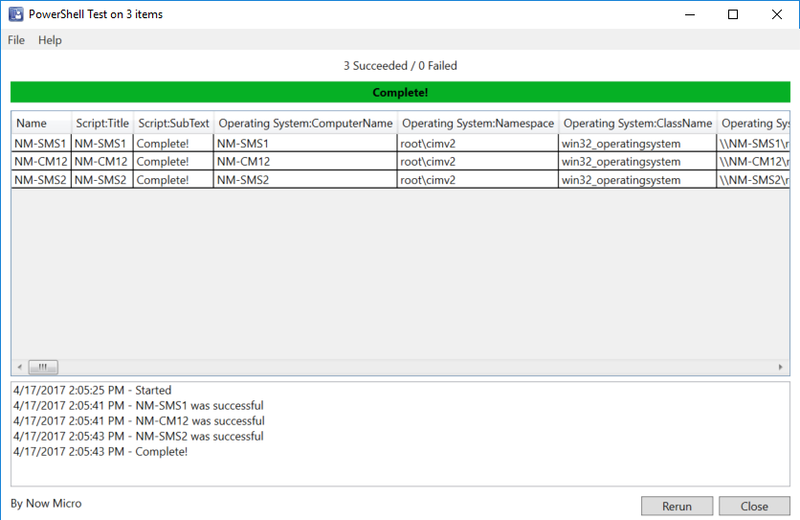 The RCT Builder tool will let you right click on objects in the ConfigMgr console and create actions to be performed on those objects. 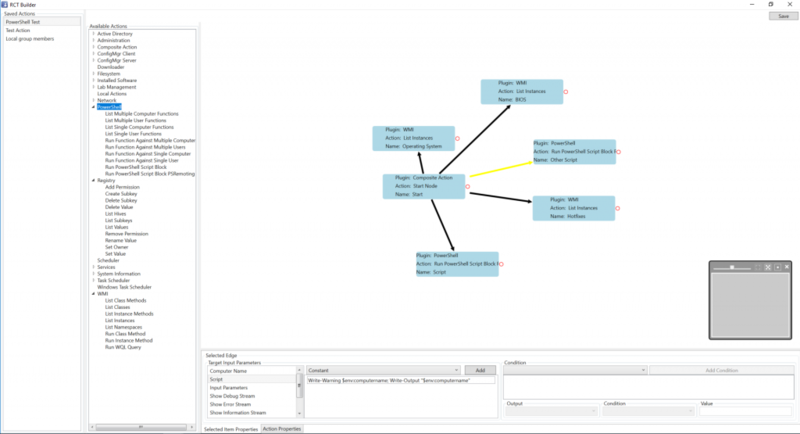 The various properties of the object can be used as input to run multiple Recast actions. 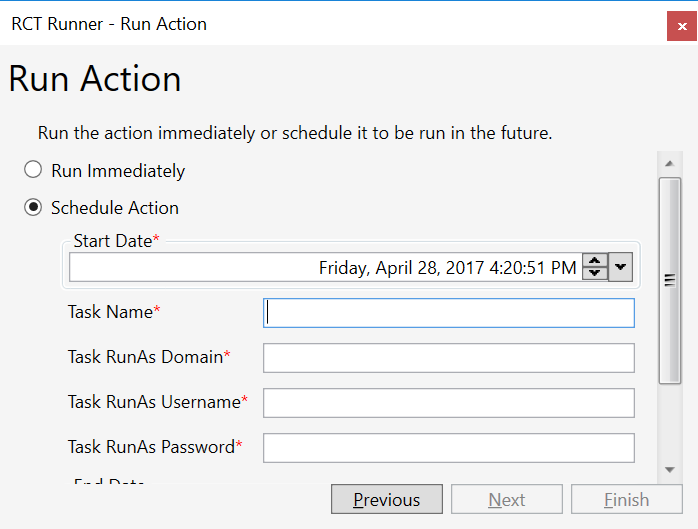 RCT Runner will let you run the actions you’ve built using RCT Builder. The output for these actions can be shown in one of three different formats. 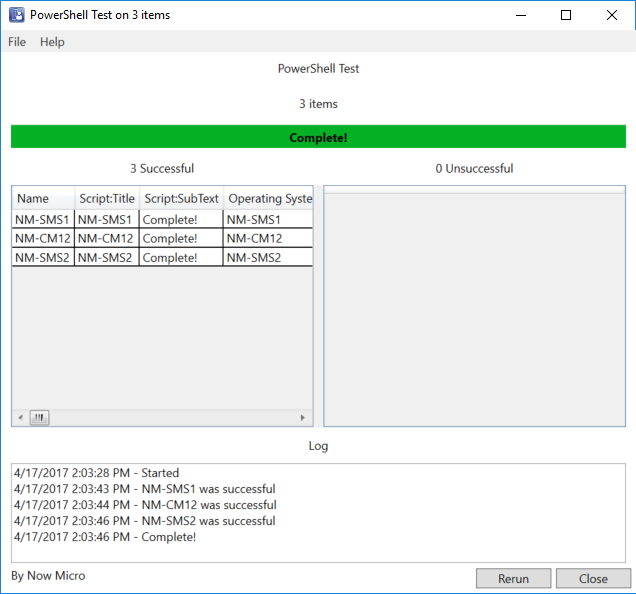 The two grid results option will show results in the success / failure window shown in many of the Recast collection actions. The single grid results option shows data in the same format as the System Information Collection tool. Results are not separated based on success or failure. The tabbed results option will show each action on its own tab. 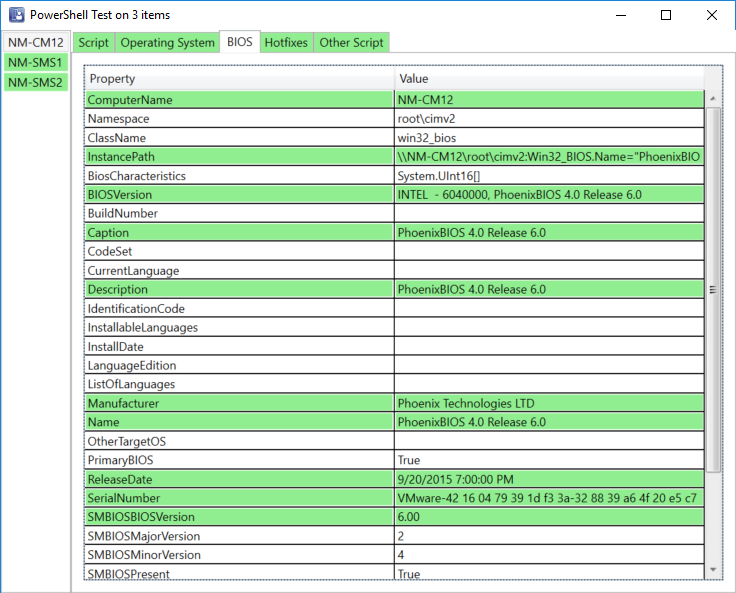 If the action is run against multiple objects, differences between the objects will be highlighted as you click on each object in the list on the left. When the action was successful, the object will be highlighted in green on the left, otherwise it will be highlighted in red. You can even schedule actions you’ve built using RCT Builder to run in the future in the similar to the way that Lab Manager profiles are scheduled. 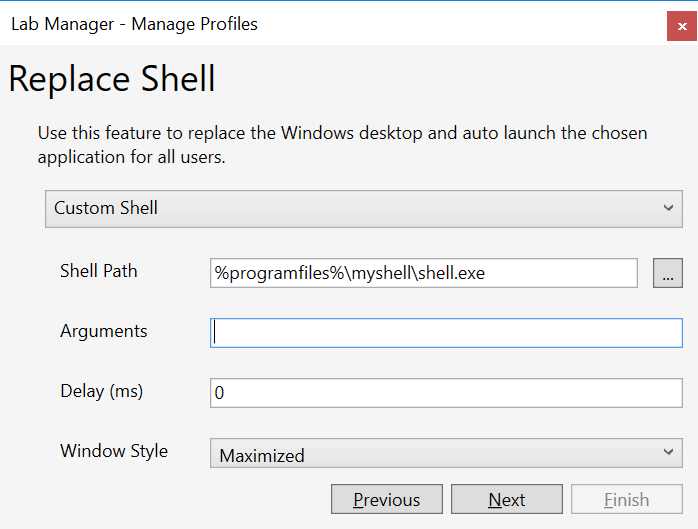 The Replace Shell screen now has the option to browse for a shell path, wildcards will now work in the Shell Path, and there’s a new Window Style option to select if the shell should start maximized, minimized, hidden, or normal. 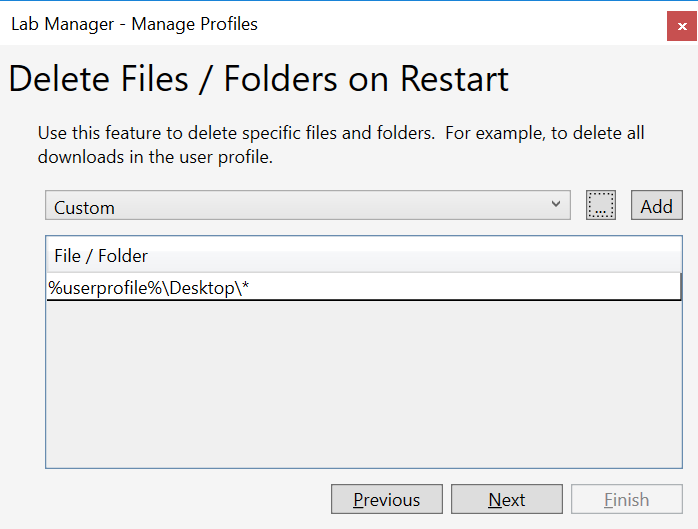 The Delete Files / Folders on Restart screen now has a browse button to add a file to the list to be deleted, and it now accepts environment variables. The Audio Volume screen will try to unmute the primary audio device if you set a volume > 0. 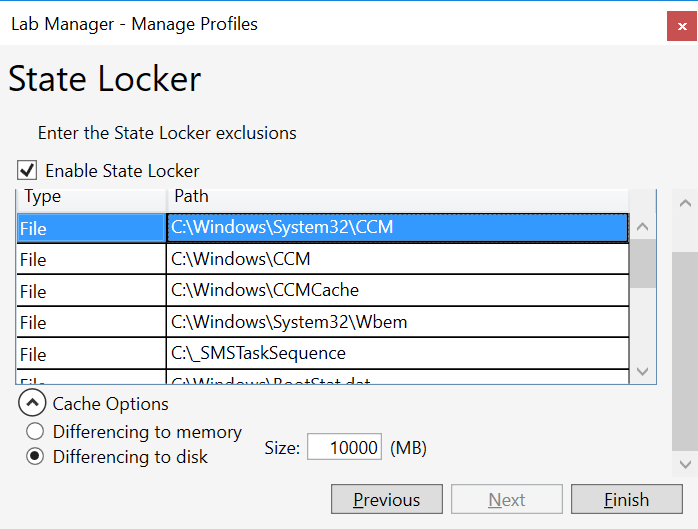 StateLocker now has options to configure the cache options. Previously the overlay was cached in memory which could cause issues if devices were running for a long time. We now let you configure a disk cache and specify how large you want the cache to be. Stay tuned for part 2– which will cover the new features coming to Recast RCT Free 3.0.